In this entry, we will discuss more tactics that guarantee regular laser targeted traffic to your sites. They are nothing new in the blogging community. These are tactics that have always been in existence, but quite unfortunately, a lot of people are ignorant of them. And even those are aware of them, so argue that they are no more relevant, others, simply because of laziness ignore them. Let me quickly list out the tactics here to give you a general idea of what this entry is all about. We will discuss each of these points right away. 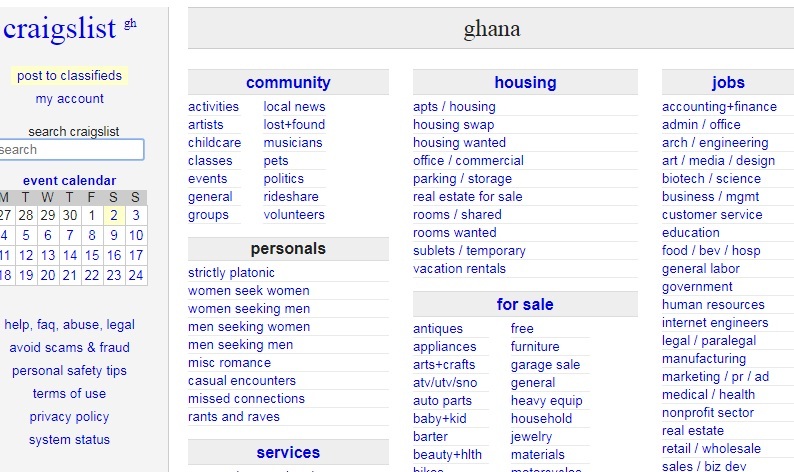 Classified ads can be a great way to get more exposure for your website or business generally. And the beauty of it is you don't have to spend a dime to advertise your offer. Classified advertising is absolutely free, so it’s great if your budget is a little stretched. By using free classified advertising you can get free targeted visitors to your website. Make sure to find the right category for your ad, this is important you don’t want it deleted because you posted it in the wrong section. Make sure that your ad is allowed, and not against the rules of that particular site. Write up your short ad, take some time, try and come up with a compelling headline. Have a look at some of the other ads to get ideas, try and figure out what was good, and what was bad in an ad. If your first ad doesn’t do well, re-tweak it next time around. When posting your ad make sure that you have some kind of tracking script on it so you can see which one of your ads performs the best and on which classified site. 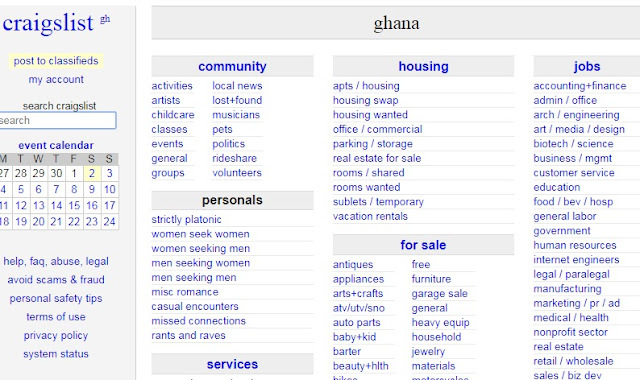 The screenshot below is how a typical classified ads website looks like. This is the interface of craiglis.com. To post an ad, you have to register an account and wait for approval. Once you are approved, you can draft your article to submit with your website URL. Select an appropriate category, otherwise, it will not be accepted. Many people think that article marketing or article submission on article directories for SEO purposes is no longer relevant today. As a matter of fact, article marketing is not dead, it is only poorly written articles that are dead or lost in article directories. A lot of digital marketers today still use article marketing to generate traffic to their website. Some people argue that backlinks obtained from article directories are no longer relevant for website ranking. That's not true. If you publish your articles in directories with high domain authority, why won't your link from there not be relevant? The fact that websites like Google rank content-rich websites better is an absolute plus. Article submission is definitely one of the best relevant methods of SEO available in today’s digital world. This method is simple – all you have to do is to write a keyword rich article i.e. you saturate the article with your main website keywords and then you submit it to the various article directories. Be sure to read each article directories terms and conditions, some will not allow you to post the same article to another directory, in such situation you have to write different articles for different directories. This is even better than publishing the same article in different directories to avoid the issue of plagiarism. keep the same author name, or you could be accused of plagiarism. The best way, of course, is to make a little variation in the articles when submitting to each directory so that it looks different. Your article should be between 700 and 1000 words, try to include the main keyword phrase in the title as well as in the beginning paragraph if possible. Try to repeat the keyword phrase in the closing paragraph too, and if you can get away with it, try to include the keywords a couple more times within the article body text itself. website that you want to promote. You can also put in a brief description of yourself and what you do on your website in this box to give the would-be visitors an idea of what they will find on your website. option for the visitor to share the article by telling a friend, and they can even rate your article too. Marketers frequently make use of various article directories, most of which offer free submission of articles. The following is a list of some very good article marketing directories. Most of them have PageRank of between 7 to 3 and a few of them (about two) with a PageRank of 2 while about three of them have a PageRank of 0. Most of the article directories listed here are ranked highly by the search engines. When you join an article directory and submit your articles, don’t forget to utilize your bio box, not only will this help you to gain yet another back-link to your site, it will also enable readers who are interested to learn more about you and your business, to quickly find your site. If writing an article is really too hard, find some PLR and break it down into a smaller article, or have an article specially written for you by a ghostwriter or freelancer. You can use our services here on this blog. We can help you write a quality article on almost any subject matter. If you are interested use the contact form. You can equally source for writers at fiverr.com, a lot of people there will write you an article for a fiver. Always remember that article marketing is a numbers game, the more articles you write and publish on different article directories, the more traffic and backlinks you will generate to your website. Sometimes you may need to get an article from a directory and republish it on your website to serve as a fresh content to your site or blog. Always check out the terms and conditions of the article directory of the article you wish to use and adhere to them. Article source should be indicated with the bio of the author retained intact. Using a pre-written article can be a good idea if you are short on time or if you are not good at writing your own articles. Also, most of the articles are highly targeted to certain specific keywords, minor keywords and phrases. your friend, you are virally marketing the restaurant. On the Internet, if you post a favourable comment about a product or a service, you are virally marketing it. In fact, on the Internet even if you criticize a product, you are virally marketing it. Internet. Hence, viral marketing always works. All of the social networking sites are avenues for virally marketing products. This also happens on blogs, forums and video and photo sharing sites. 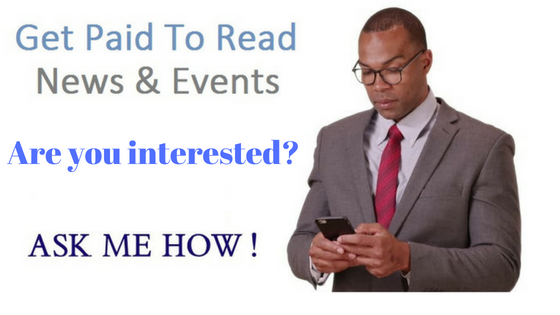 Your articles are tools for viral marketing too. So, you see that viral marketing is not an isolated method. It is, in fact, an umbrella term for the various marketing practices you employ. more visible. On the Internet, a product that is visible has more chance of being a hit. It’s no use keeping your site or your product to yourself, get it out there to them. Seriously take advantage of the viral marketing concept, if you don't already have one get a Twitter account, a Facebook account, start making short videos and get them onto youtube or other similar sites, it all contributes to viral marketing. of link building and obtaining direct traffic. There are over 30 video marketing sites out there (at the time of writing this article). Take advantage of them, post your videos wherever you are allowed to post. In order for this to work for you, there are one or two things you will need to have in place. An autoresponder to start building a list of subscribers. A web page with an opt-in form to offer your free report on. with your own links in it. Do not overdo the links, but the minimum you will need to include is at least one link back to your website or your blog. If you allow others to redistribute your report so much the better, as they pass your report along, they also pass your site details onto others. Get your free report out there. Your report must be of value to others if they like it, they will come to your site, looking for more information. Your report doesn’t have to be a mammoth e-book, just a short 5 to 10 pages informative booklet will do. People like free information. Give it to them. If you really don’t want to write your own, again you can outsource this task to a ghostwriter or freelancer. Once you have your report ready, you need to put that opt-in page on your website or on your blog to start building a list. And don't forget, in your list building you will need an autoresponder. That leads us to our discussion on autoresponders. free ones you can use which will still do the job for you but with limited functionalities. If your hosting has cPanel, there is even one included therein. Once you have decided upon your chosen autoresponder log in and create a signup form to add to your opt-in page. Carefully go through the sections of the autoresponder account, set up your list, add all the required details, set up your thank you link and the download link for the free report. One essential thing is to make sure you have at least five or six follow up emails waiting in the autoresponder, once you have started building your list you need to keep in touch with it. address don’t abuse them. Having your own mailing list is a great way to get targeted traffic to your site. By emailing them, you remind them of your site and give them a link straight back to it. If you treat your list properly, it has the potential to make you more sales and more money than any avenue of digital marketing. 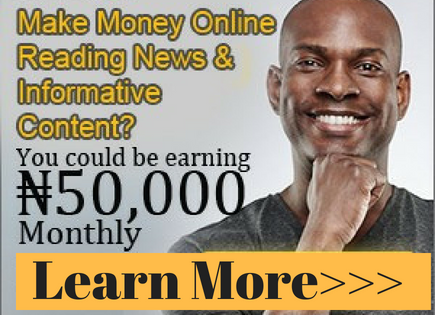 It is said that the true value of each subscriber is $1 per month. So get your list started and keep in contact with it. To make your work easier, I have listed the top 25 autoresponder services here for you. Some of them have a free trial period of about 1 month so you can give it a try. If you have a static website, you need to create a page to add your form code to. Don’t make your opt-in page so busy that the visitor cannot find the opt-in box. All you need is a simple page with a headline, a brief description of your offer, a little graphic image of your free report, the opt-in box and the call to action. Once you have set this system up, let’s take it to the next level. Look around for some giveaway events you can join. You already have your report, and the means of collecting subscribers, so go and add it to other sites that allow you to give your report away. Some giveaways are targeted to specific niches others are just general in their nature. This is a site called Giveaway Frenzy where you can submit your giveaway. They have both free and paid plans. If you want accelerated results, you should go for paid plans. Their work is to help you submit your giveaway to over 100 giveaway sites and also help you to promote your offer on their social media platforms such as Google+, Facebook, Twitter and Pinterest. Once you have started building your list, another avenue for getting targeted traffic is to participate in ad swaps. An ad swap is simply an agreement where you place someone else’s advertisement on your site or includes it in an email to your subscribers and your swap partner agrees to do the same. It's a sort of exchanging traffic between two or more websites. Using an ad swap will bring new visitors to your site from someone else’s site. Here is a list of 15 advertising networks that offer ad swap services. People who participate in ad swap programs are usually looking for partners who have the same numbers of subscribers on their list. Someone with a list of 20,000 names, will not ad swap with you if you only have 100 on your list, so don’t even bother trying to ask them. Ad swap should be a win-win thing, the person with over 200,000 on his list will have almost nothing to gain from someone with only 100 persons on his list. The most effective way to build your list is for both partners to agree to mail a squeeze page offer, i.e. your free report. When done right Ad swaps are a real “win-win” opportunity for both partners. I already have a URL above where you can visit to get sites that offer ad swaps. Find and join every list you can find relevant to your niche. You can also use the search engines to locate them. Go to forums related to your niche and locate members who are willing to ad swap. Some forums have dedicated sections for Joint Ventures or even ad swaps. Take a look and see what offers are available from other members. Many people have differing views on traffic exchanges and their effectiveness. As long as you know how to use them correctly, traffic exchanges do work. Here is an example of a website that offers traffic exchange services, it is called 10kHits Traffic Exchange. And this is another list of 42 traffic exchange websites. There are many different types of traffic exchanges, from Auto Exchange to Surf Exchange and Start Exchange, the one you should use depends upon what kind of traffic you are looking for. If you are looking to keep building your list then you need to participate in exchanges such as Surf Exchange and Start Exchange, if it is just website hits you are looking for then the Auto Exchange system will be more suited to your needs. There are an absolute ton of traffic exchange websites out there. Take a look around and pick ones that suit your needs. The only problem with traffic exchange is that most of the traffic is not from real human visitors. Some users actually use sends bots to your website that appears to be a human visitors. those other members. It’s a joint agreement for you to make and receive offers. Some safe lists are free, some charge a small fee, some paid safe lists offer the opportunity to mail out and not have to receive mail in return. Blast4free.net is one of the world's largest safe list directories. You can visit it and select safe list websites of your choice. I can go on and on with several tactics you can use to increase laser targeted traffic to your websites be you a newbie or an established digital marketer, but time and space will not permit me. I will reserve the remaining tactics for another blog entry, so stay tuned. Remember to read the part I and II of this traffic generation tutorials. And if you have any tactic that has not been mentioned here, you can share your thought in the comment sections. Thanks for reading.